This August, as a new school year was about to begin, the University of Chicago captured media attention with the letter it addressed to incoming first-years. The anodyne welcome letter to incoming freshmen is a college staple, but this week the University of Chicago took a different approach: It sent new students a blunt statement opposing some hallmarks of campus political correctness, drawing thousands of impassioned responses, for and against, as it caromed around cyberspace. 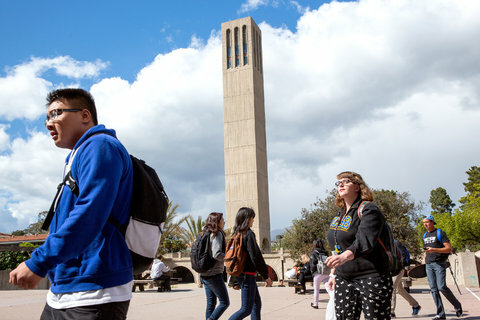 “Our commitment to academic freedom means that we do not support so-called trigger warnings, we do not cancel invited speakers because their topics might prove controversial, and we do not condone the creation of intellectual ‘safe spaces’ where individuals can retreat from ideas and perspectives at odds with their own,” John Ellison, dean of students, wrote to members of the class of 2020, who will arrive next month. The letter comes in response to what Greg Lukianoff, president and chief executive of the Foundation for Individual Rights in Education, calls an “epic” year last year when colleges and universities around the country were forced to publicly and painfully deal with issues of race, sexual assault, gay and transgender rights and free speech — mirrored and magnified in the microcosm of campus life, and amplified by social media. In this lesson, we offer some starting points for helping high school students wrestle with the questions this letter, and last year’s incidents, raise — and apply them to their own learning and school experiences. According to a poll recently released by the Gallup Organization, 78 percent of 3,072 students from 32 four-year private and public colleges said they believed their campuses should strive to create an open environment where they would be exposed to a range of speech and views. Twenty-two percent noted that “colleges should prohibit biased or offensive speech in the furtherance of a positive learning environment.” But 69 percent favored limitations on speech when it came to language that was deliberately upsetting to some groups. How can colleges and universities best balance a need to foster intellectual discourse about difficult topics with a need to protect students who may feel marginalized for some reason? Before you take that question on, you might want to define the concepts of trigger warnings, microaggressions and safe spaces if students are not familiar with them. Then, to gauge their initial thoughts about these issues, you might try a four-corners activity . Schools should be places where students are exposed to many viewpoints, even if some groups or individuals might find them offensive. Classrooms should be places where all students should have the freedom to share their opinions. Classrooms should be places where all teachers should have the freedom to share their opinions. Teachers should warn middle and high school students about sensitive content in the books they will read for school. Students should be allowed to opt out of curriculum they disagree with or find offensive. Professors should warn college and university students about sensitive content in literature. Outright harassment and subtle norms steeped in racism, sexism and homophobia are real in many classrooms and schools. Students going to college should expect to be safe from hurtful language and ideas. Colleges should be places where uncomfortable ideas can be debated openly. A college or university should cancel a speaker a majority of students object to. All speech should be free, including speech we find offensive. Free speech is not truly available to all, especially members of marginalized groups, so additional protections for them are needed. Calling for safer academic environments is infantilizing to students. Colleges and universities should have speech codes to protect students from intentionally hurtful language. Students today expect to be coddled, not challenged. Concepts like “safe spaces” and “trigger warnings” on campus are antithetical to academic freedom. Students are not avoiding or silencing difficult conversations by asking for trigger warnings and safe spaces. Instead, they are trying to learn how to face them in ways that are both academically rigorous and sensitive to the needs of everyone in the room. As students assemble in corners after each statement is read, ask them to talk with the others gathered there about the idea for a few minutes and ask any clarifying questions of the teacher. Once they have done so, give students a chance to move around if they have changed their minds before moving on to the next statement. After the exercise is over, ask students to share the issues discussed in their small groups; talk about which questions were hardest to answer; and reflect on what they noticed during the exercise. Did any of their answers contradict each other? How? Then invite them to read the short responses from six experts in this November 2015 Room for Debate forum, When a Generation Becomes Less Tolerant of Free Speech. Which of the six responses challenged your thinking most? Why? With which do you most agree in the end? What personal experiences have you had that have influenced and informed your opinions on these subjects? In what circumstances do you learn best? How, if at all, does this debate relate to that for you? Finally, you might repeat the four-corners exercise with the same statements. What, if anything, changed after students learned more? Why? A little heads-up can help students engage with uncomfortable and complex topics, and a little sensitivity to others, at the most basic level, isn’t coddling. 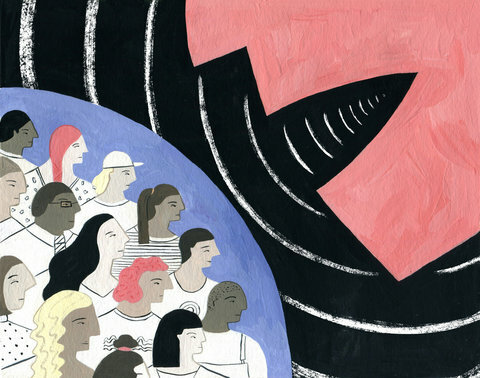 Civic discourse in this country has become pretty ugly, so maybe it’s not surprising that students are trying to create ways to have compassionate, civil dialogue. What do students think? Was the letter more “public relations maneuver” than a genuine policy, or was the University of Chicago taking a much-needed stand? Would they like to receive a letter like this from a college just before they begin their studies? Read the article with students and have them react through writing or discussion. Do they agree that programs like these are needed on campus today? Does their own school need one? 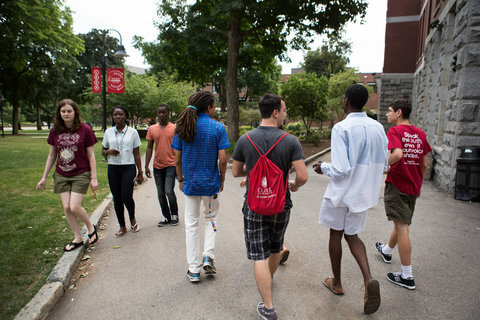 Regardless of where they stand, you might then invite them to work alone, in pairs or in small groups to plan the freshman orientation they would like to attend — one that addresses these issues in ways that feel meaningful and useful, but that also reflects what they think about where a school should stand on these issues. Show students this short film by the satirist Ami Horowitz. Together examine what the film is trying to show. What questions does it raise? What do you think is its purpose? Should the First Amendment be scrapped? What would happen if it was? What would happen if someone came to their campus with a similar petition? After the discussion, have students read this Daily Beast article in which a Yale University spokesman expresses skepticism about the video. Did students raise some of the same questions as they watched? After the resignation of President Timothy M. Wolfe, students and faculty agreed that a new approach is needed to combat the rising number of racist incidents at the University of Missouri. November 9, 2015. Photo by Austin Huguelet for The New York Times. If your class would like to read and learn more, assign small groups of students one of the recent campus protests to research each. They have been gathered here by The Times and here by The Atlantic, but we provide Times links below as well. Ask students to be prepared to share what sparked the protest, what happened, what resolution the students and school reached, if any, and what questions the protest has raised for them. Here are some starting points, but you might also direct students to the student publications at each of these institutions for more information. Tell students that you will engage in a simplified Oxford-style debate to look more deeply at both sides of this issue. Alternatively, if you prefer and have the time, you could watch this debate on the Intelligence Squared website. As a class decide upon the resolution you want to debate. You can see the IQ2 debate resolutions here. This is a good time to focus students on the aspect of these events and the issues they raise that you want them to think more about. For example, if you wanted to focus on academic freedom or students’ First Amendment rights, the resolution could be focused on that. If this is a moment you want to zero in on race, privilege and identity politics, guide students to craft resolution (s) focused around those issues. You might also divide the class into smaller groups around different resolutions and then hold the debates for one another. Once students have held their debate, debrief together. Ask students if their opinions have changed, given what they have read and heard. Finally, ask how this applies to their own secondary school education. Is the purpose of education at this level to coddle or to challenge — or, if it is to do both, where would they draw a line? What are the differences between a high school and college environment when it comes to freedom of expression, microaggressions, safe spaces and trigger warnings? Has their school done an adequate job to helping them in these areas? Is there anything they would recommend to their own current administration after studying the way colleges and universities are handling them? Opinion | Will the Left Survive the Millennials? Opinion | Why are Student Protesters so Fearful? 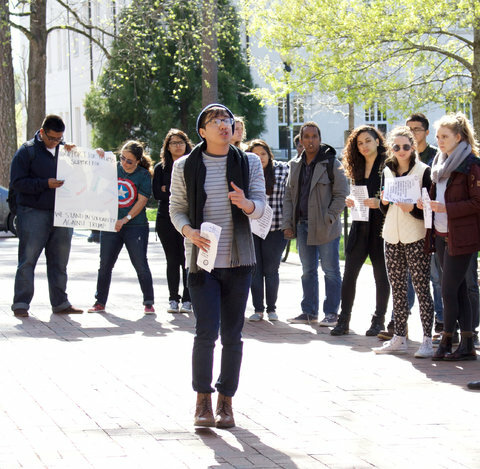 Article | Racial Discrimination Protests Ignite at Colleges Across the U.S. The Atlantic | Should Any Ideas Be ‘Off the Table’ in Campus Debates?